What with Nike and Apple being pretty big pals – the Cupertino company’s CEO Tim Cook is, after all, a board member at Nike – the FuelBand is heavily supported by iOS devices and not much else. The official FuelBand app for iPhone can only be found over at the iTunes App Store, but third party developers have been hard at work in bringing support for those wielding devices on other platforms. 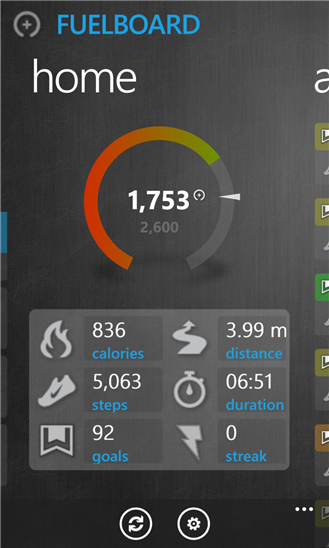 Here, we take a look at Fuelboard, an unofficial FuelBand app for those languishing on Microsoft’s fledgling Windows Phone platform. More details and download link can be found right after the jump. If you’re not familiar with the Nike+ FuelBand, it’s basically an accessory worn on the wrist that tracks your general activity. From there, it can tell you all sorts of fitness and wellbeing information including how many steps you’ve taken, how far you’ve traveled, and how many calories you’ve managed to shake off while doing so. 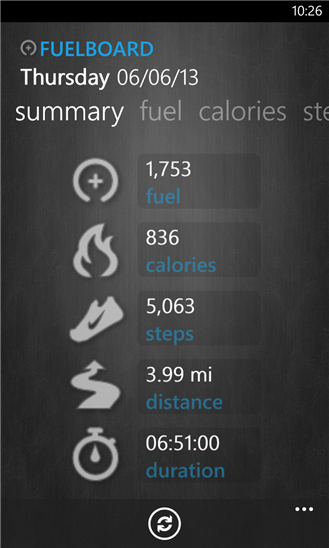 Recently, we saw Fuelly, which is also an unofficial FuelBand Android app, a pretty useful tool for those yielding a Droid, and Fuelboard is cut very much from the same cloth. 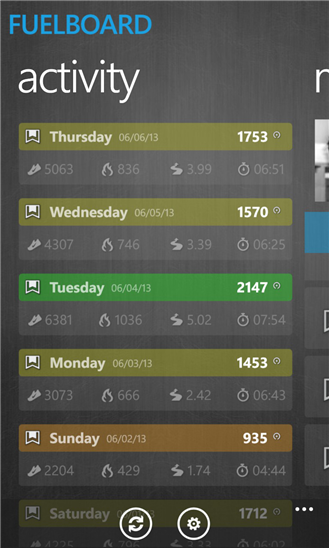 Just like Fuelly, it allows you to easily check your Nike+ FuelBand data on-the-go, and after quite a bit of work and testing, is now primed and ready for those in ownership of the Windows Phone platform. Unfortunately, it doesn’t sync directly with your FuelBand accessory, but it will readily hook up with your FuelBand account and grab the necessary data in order to present it within the rather nicely finished interface. 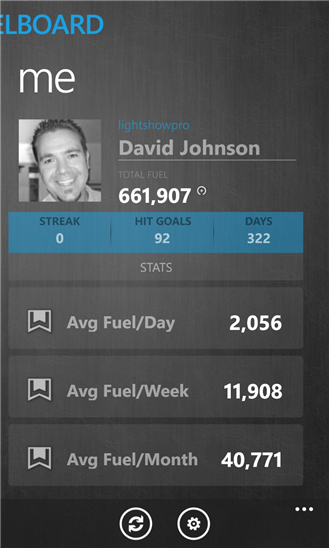 You can check out stats from the present time, of the previous week, or your FuelBand’s entire lifetime, and you’re also able to check Fuel Calories and Step graphs at a glance. Fuelboard costs just $0.99 over at the Windows Phone Store, and although a free trial would have been nice for those looking to try before they buy, I’d say this is a reasonable investment for an app that does as it purports and does so with aplomb. Please remember that this is a Windows Phone 8 app only, so if you’re rocking older hardware, you won’t be able to enjoy the benefits of Fuelboard.